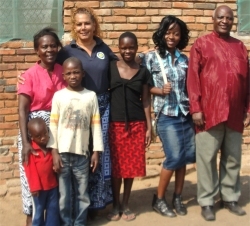 Jenny seen here with Pastor Sam. 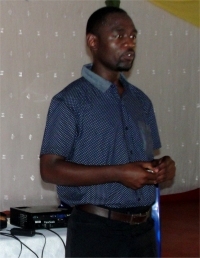 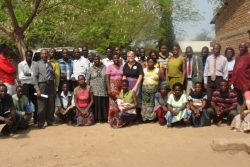 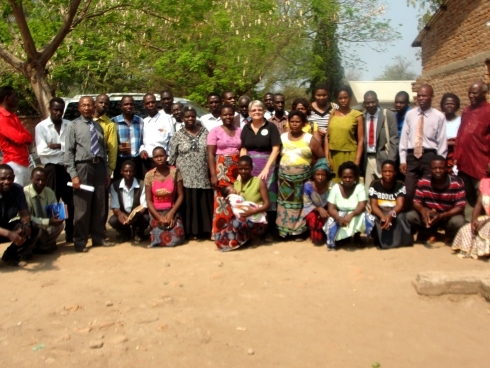 25 Pastor attended the half day Pastor's Seminar at Karonga. 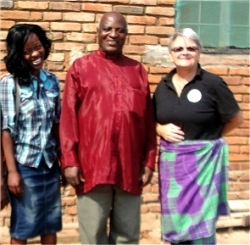 We were escorted into Malawi by Bishop David Akondowi he is the UCT Tanzania Representative and the ABCD Tanzania Director. 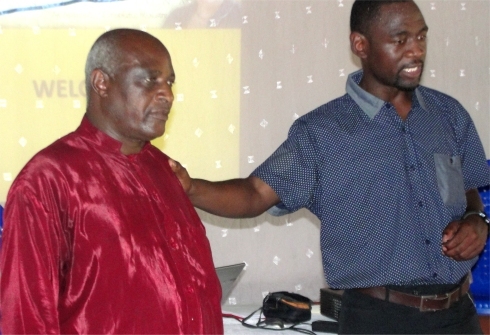 What an honour to be working alongside this mighty man of God, now affectionalely called the 'Bush Pastor' for the wonderful work he is doing in the bush to reach the forgotten Pastors that God has not forgotten. 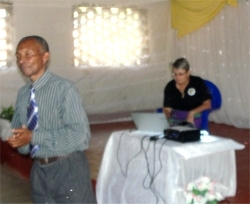 Jenny taught the half day Pastor's Seminar on the importance of reaching the next generation and the URGENCY of reaching the children in the times we live in. 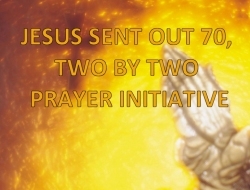 Here we introduced the Jesus sent our 70 two by two prayer assignment. 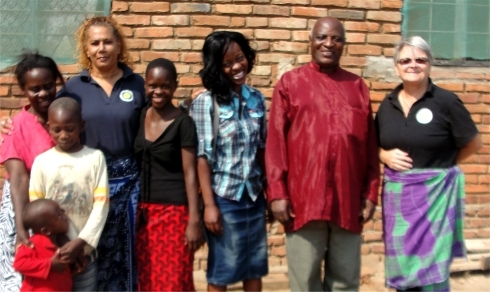 Educational handouts were given out as well as children's Moringa colouring books in English, we look forward to this being translated into Tunbuka. 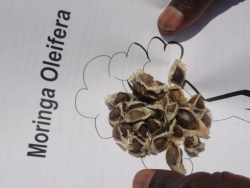 A small selection of seeds were handed out to enable the teachers to establish mature Moringa trees to build up seed stock to supply the churches and eventually the schools in the region.